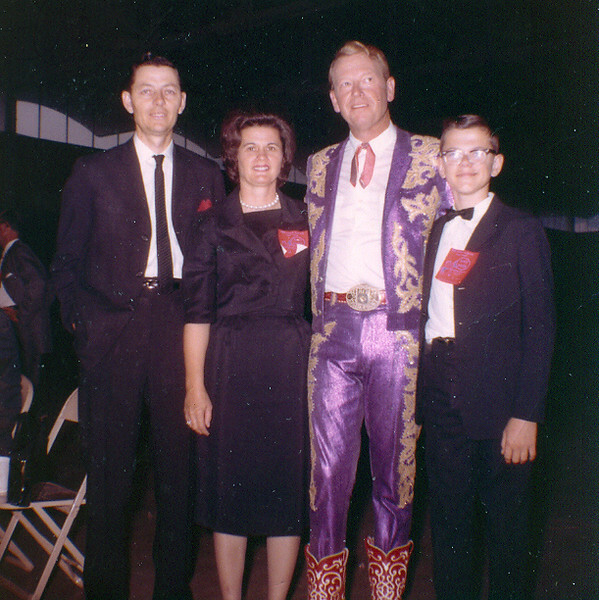 Here are Mom and Dad and me in 1965 with the popular western actor and entertainer, Rex Allen, backstage at the Market Place in Dallas. My sister, Lyn, got us in to meet him as she worked for a booking agency back then. Don't I look proud!